IP finance: How much is Coke worth? 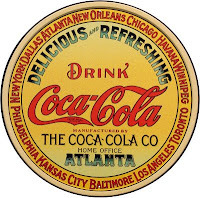 "On Tuesday Coca Cola enterprises released its financial results for Q4 2008 and reported a loss of $1.45 billion, (or $2.99 a share) due to "a $2.3 billion write-down on the value of North American franchise licenses". The company actually had higher-than-expected quarterly profits, with regard to sales of their products; nonetheless, the enterprise swung to an overall loss, due to the impairment charge for writing down the value of its North American franchise license (sources: Reuters, Wall St Journal and MarketWatch). I believe this is yet another signal of the great importance and value of IP assets in todays economy".